This product includes six rhyming pairs. 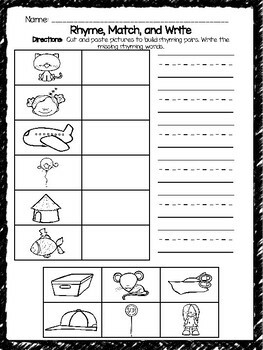 Students will cut and paste the missing word in each pair, and write the missing word in the blank. All rhyming pairs feature CVC words. This resource can be used as an assessment or independent practice. Your feedback is appreciated! Thank you.